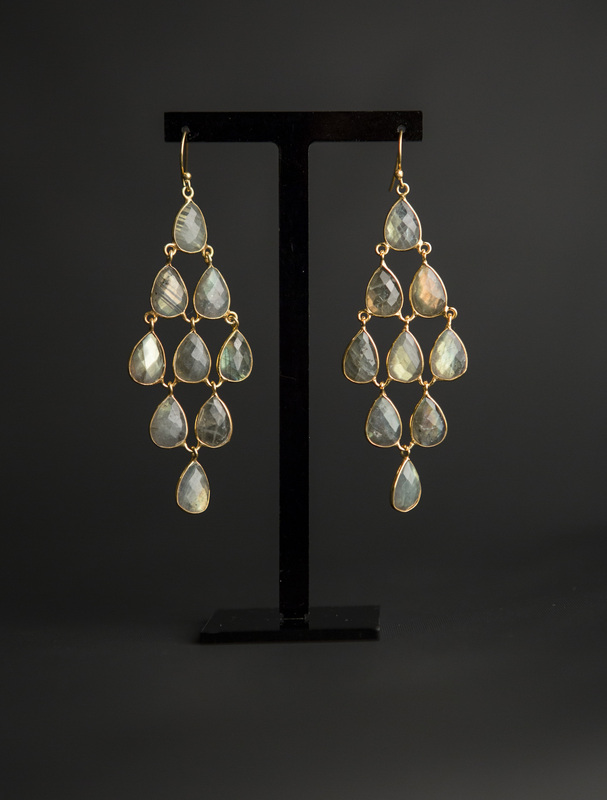 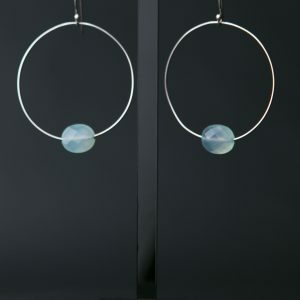 A pair of stunning chandelier earrings featuring beautiful faceted tear drop labradorite gemstones. 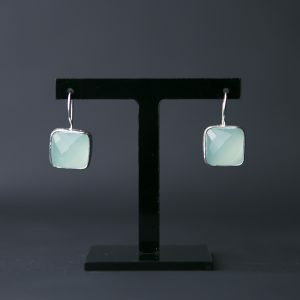 These wonderful stones have flashes of blue and green fire. The neutral tones make them easy to wear – with jeans and a white shirt, a floaty dress for a boho look or add a touch of glamour to your evening dress. 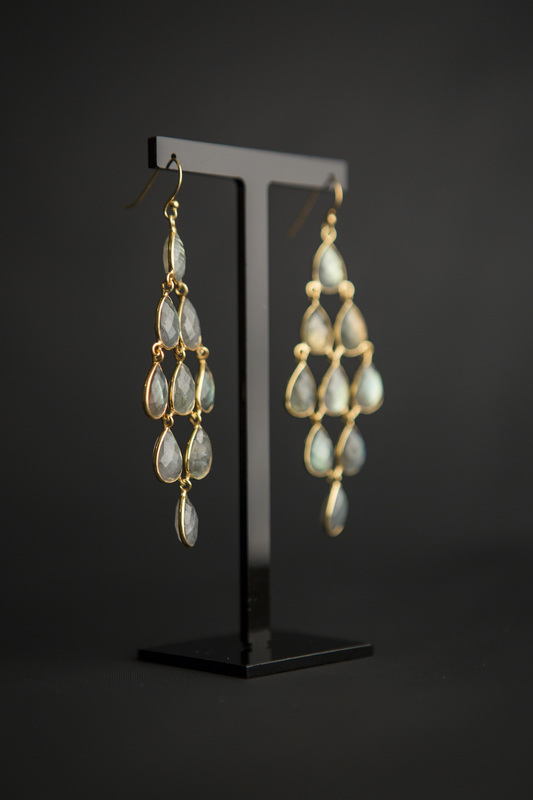 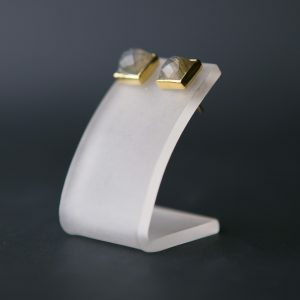 These beautiful earrings are set in 18K gold vermeil. 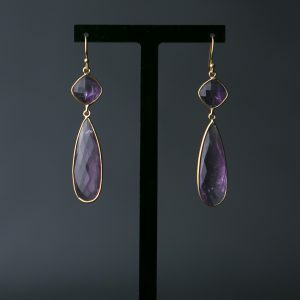 The colour is stunning and versatile and the earrings a beautiful statement piece.